Russian President Vladimir Putin intends to hold talks with Japanese Prime Minister Shinzo Abe for the 25th time to move forward towards solving the peace treaty issue and the long-standing territorial dispute over the South Kuril Islands. Taking into account the background of the preparations for Abe’s visit to Moscow, experts told Izvestia they do not expect any breakthrough solutions from the meeting. However, according to them, if Tokyo fulfils a number of conditions, a peace treaty would also be beneficial for Moscow. Prior to the visit, Presidential Aide Yury Ushakov admitted that the negotiations could be difficult, however, the desire and will of the two leaders to fully normalize relations remains. Experts interviewed by Izvestia share the same opinion. Expert on Russian-Japanese relations at Temple University in Tokyo James Brown told Izvestia that significant results are unlikely to be achieved on the territorial dispute. 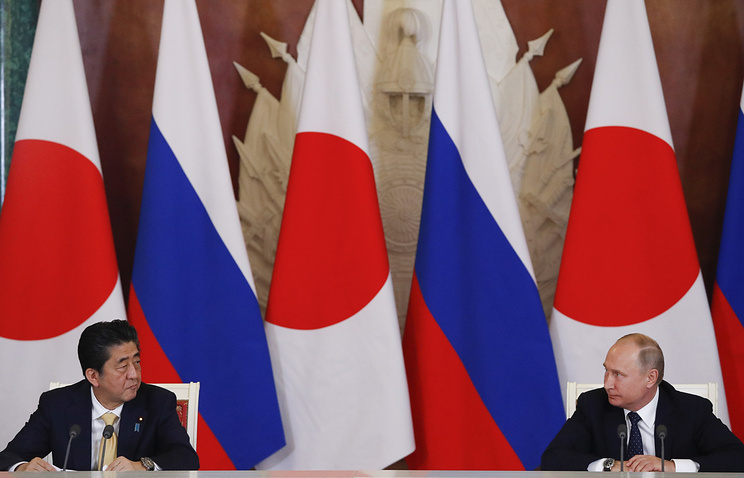 Abe hopes to sign some form of framework agreement when Putin visits Japan in June, but the Russian side is not in a hurry since it owns the islands. 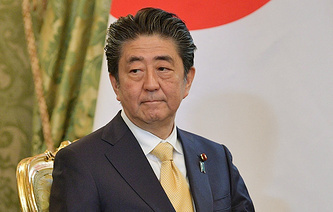 Former Russian Ambassador to Japan, Alexander Panov, however, believes that Abe can still recognize Russia's sovereignty over the Islands in one form or another and repeat the promise to not have any US military bases there. "Whether it will satisfy the Russian side is difficult to say. The big question is how much Russia is really interested in a peace treaty," Panov told Izvestia. Meanwhile, in his opinion, it is in Russia’s interests to reach an agreement with Japan. In a difficult international situation in the East, it is better to have a partner and a friend, the diplomat said. This can be achieved through a complex peace treaty that would take into account security issues, political relations, economic cooperation and territorial ownership, he added. Delegates to this year's Davos Forum may be discouraged by its results, Chairman of the Federation Council Committee on Foreign Affairs Konstantin Kosachev told Izvestia. As of late, national governments are trying to solve economic problems through protectionist approaches, he said. These tendencies have revealed themselves at the event's preparation stage. Due to the ongoing sanctions, the composition of the Russian delegation was agreed upon with difficulties. As a result, it will be represented by businessmen Vagit Alekperov, Viktor Vekselberg, Oleg Deripaska, Vladimir Yevtushenkov, Alexey Mordashov, Alisher Usmanov and bankers Herman Gref and Andrey Kostin. Representatives for the chief executives of Renova, Severstal, Sberbank and VTB confirmed the participation of their leaders. A source in the Russian delegation talked to the newspaper about the co-owner of Rusal attending the event. The Davos Forum is a platform where world powers send signals to the global community that are closely monitored by markets, Deputy Director of the RAS Institute for Europe Vladislav Belov told Izvestia. "They tried to exclude us, but found a compromise solution. Without Russian representatives, it would have been bad news for Davos," the expert said. 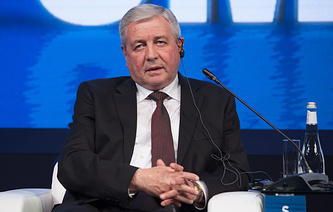 Russian President Vladimir Putin is not going to head the Russian delegation, so Economic Development Minister Maxim Oreshkin will replace him. At the same time, US President Donald Trump canceled the entire American delegation’s trip to Davos. "Unlike European leaders, he opposes globalization and market liberalization. Let us recall the Davos forum in 2017. At that time, the Chinese leader was the main globalist, while the American president spoke out strongly against it. 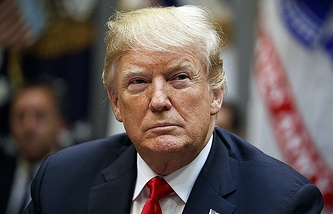 In general, the atmosphere of Davos is not very friendly for Trump," Professor at the Faculty of World Economy and International Affairs at HSE Alexey Portansky told Izvestia. This year, economic issues came to the forefront of the forum’s agenda. According Portansky, the absence of world leaders will somewhat reduce the prestige of the forum in 2019, but this is far from being called a trend. According to him, the Forum is primarily a conversation of macroeconomic professionals who hammer out approaches, then apply it at the state level. Belarusian President Alexander Lukashenko presented his terms for closer integration with Russia, which is a proposal for a single currency on the territory of Belarus and Russia, and unified tax and customs policies on equal terms. Experts interviewed by Nezavisimaya Gazeta saw the offers as a "game with elements of empty rhetoric." They believe that the Belarusian leader might actually want to bury the idea of a single currency. Experts in Minsk believe that the integration option proposed by Moscow is unacceptable for Minsk. "Once a single currency is introduced, creating uniform authorities is a mere formality, because without their own money, Belarus’s independence from Moscow will be about the same as that of any Russian region," Belarusian political analyst Valery Karbalevich told the newspaper. 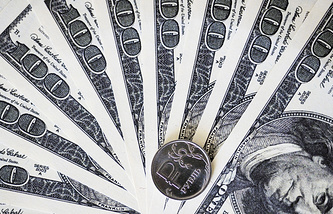 The expert believes that talk of a single currency for Moscow meant only the Russian ruble. However, disagreeing with Moscow means recognizing that the Union Treaty and the integration policy were wrong. For now, Lukashenko is employing a tactic of "the integration game with elements of empty rhetoric," the expert said, commenting on the latest statements by the President of Belarus. Other experts recall that this situation in bilateral relations was already taking shape in the early 2000s. Since then, practically nothing has changed in the positions of the countries. Analysts believe that Lukashenko might want to drag on negotiations with Russia for a year or two. In the meantime, the next presidential elections will take place, and perhaps Belarus will be able to start getting some support from the West. At the same time, experts are not sure that Russia would make concessions. This means that Belarus can hardly expect compensation from Moscow for the tax maneuver. Schlumberger may refuse to buy the Russia-based Eurasia Drilling Company (EDC), the company’s CEO Paal Kibsgaard told investors. In the coming weeks, Schlumberger will make its last attempt to reach a deal. According to Kibsgaard, if it fails to see clear signals that the company will be able to get approval from Russian state agencies, Schlumberger will withdraw the application. Sources close to the deal told Vedomosti, that the only participant in the Foreign Investment Commission against completing the deal is the Federal Security Service (FSB). According to the source, EDC has strategic information about Russian subsoil. According to another source close to the Foreign Investment Commission, the commission is not going to meet regularly. By the end of last Friday, there were no other issues besides the EDC and Schlumberger deal. However, it is not clear when the commission would meet again. "The deal has long been a political issue, the Federal Antimonopoly Service (FAS) is also dreaming about its completion, which can earn a lot of political points," one of the sources told Vedomosti. "The FAS was able to squeeze Schlumberger for a very large number of concessions on different fronts," a source close to one of the negotiating parties told the newspaper. "The negotiation process has been dragging on for so long that no one believes that Schlumberger can get a stake in EDC," ACRA analyst Vasily Tanurkov told Vedomosti. According to him, the deal can be only a financial investment. "Despite all the agreements, most likely, there will be no transfer of technology to Schlumberger, and drilling technology on the deep marine shelf is related to sanctions and is not transferable," the expert added. The first section of the Moscow-Kazan High-Speed Railway (as far as Nizhny Novgorod) has been approved for construction. The project’s expediency was discussed at a meeting with Deputy Prime Minister Maxim Akimov, Kommersant wrote. Now, 200 bln rubles ($3.10 bln) will be drawn from the budget for the project. At the same time, experts believe that the railway section up to Nizhny Novgorod is not self-sufficient and requires extending the line, while any planned cancellation of several current high-speed trains would lead to a loss of some passengers. Akimov’s office confirmed the meeting, without specifying the details. A source close to the talks told Kommersant it was stated that the project would break even for both the infrastructure owner and Russian Railways from the third year of operation, even with conservative estimates of passenger traffic. According to the materials for the meeting, the project’s financial model does not imply subsidies at the operational stage. 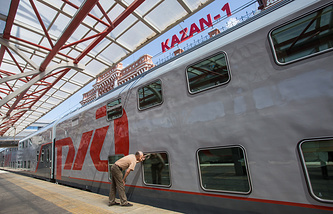 Russian Railways told Kommersant that the passenger traffic forecast indicated that about 40% of all riders between Moscow and Nizhny Novgorod are expected to use the high-speed railway. However, Head of Infoline-Analytics Mikhail Burmistrov told the newspaper that the Moscow-Nizhny Novgorod section of the High-Speed Railway is not independent, so completion of the entire project is required. Moreover, the current phase creates problems with equipment. According to the expert, in order to achieve the required commercial indicators, the Russian Railways will have to stimulate passenger traffic to the detriment of road and air transport.